Tri-Art's High Finest Quality Artist Acrylics are premium quality artist paints designed to satisfy the most discerning artists. Their unique consistency allows for bold impasto effects that are normally associated only with oil colors. 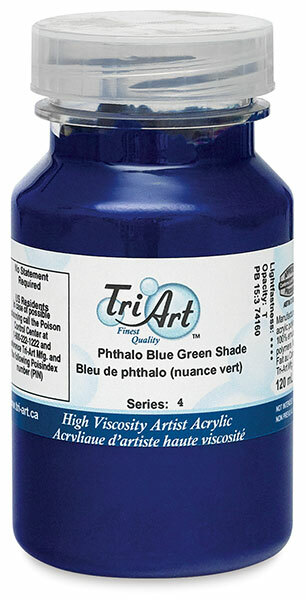 Tri-Art acrylics have a smooth, buttery texture that retains brush and knife marks, yet is not stiff or difficult to manipulate. They are manufactured with 100% pure acrylic emulsion, producing a tough yet flexible film with excellent resistance to water, chemicals, light, and ultraviolet radiation. Only the highest quality pigments, selected for purity and lightfastness, are used. Because no fillers or extenders are used, most colors dry to a natural gloss, while those with larger pigment particles create a more satin finish.